The location is named after Dato’ Perpatih Nan Sebatang. The locals believe that long time ago, the mountain used to be a place where people gathered and selected their leader. It’s 885 meters. Ranked 220th place in Malaysia’s highest peak, but it is the highest in Negeri Sembilan. There are footprints at the summit which represent the legendary warrior called Hang Tuah. Myth state that he used to move place to place by jumping mountain to mountain. They are many name variations for Gunung Datuk. Some road sign are spell as Gunung Dato’. Some maps shows it as Gunung Rembau or Gunung Datuk Rembau. The above are some random things I came across while writing the hiking guide of Gunung Datuk for our Hiking Destination Guide – Share My Hikes. 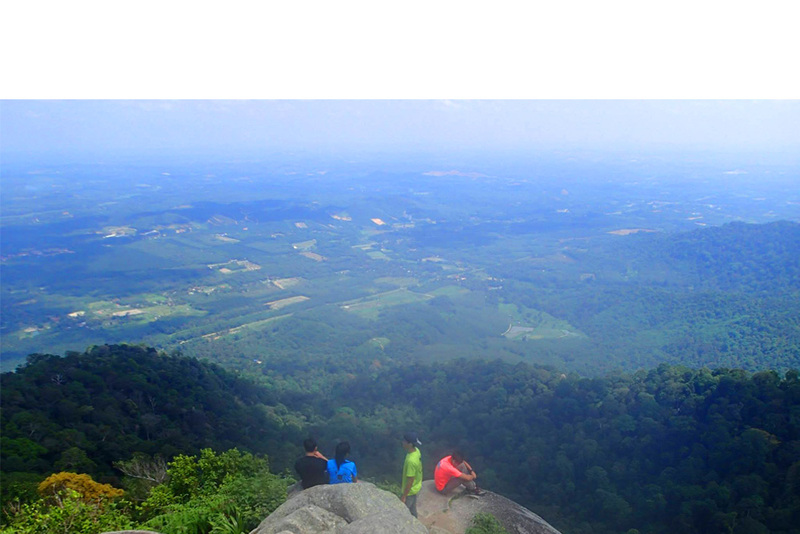 Gunung Datuk is a popular hiking destination among the locals and Singaporean mainly because of the relatively short hiking duration and the panorama views the summit has to offer. Check out Gunung Datuk’s hiking guide here. I have a similar post to guide people on the Gunung Datuk trek, registration etc. The registration cost is still the same!